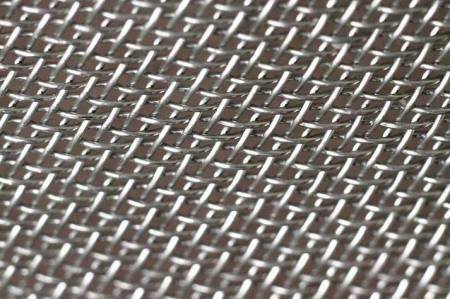 Steel mesh grid or as used to call a grid «Rabitsa» made by braiding flat wire coils according to GOST 5336−80. Woven between spirals should not have gaps or Sputnik turns. The basis for the manufacture of such grid is low carbon wire. Galvanized wire mesh — more durable than thermally processed. Due to the fact that the used wire has a low carbon concentration, it is quite flexible and resistant to any deformation. First of all, such a grid may have a different cross section of the wire used, the cell size, material and type of coating. It may have a protective PVC coating, zinc coating or similar Protective coating significantly extends the service life of the grid «Netting», especially at high humidity. Supply a certified braided mesh of any parameters. The technical documentation includes information on electrical products quality. We can easily buy in bulk any semi-finished products for large-scale production. We also work with retail buyers. A high level of service and speed of service are the face of our company. For bulk purchases, the cost can be significantly reduced. This kind of material in stock always. Delivery details and price can be checked by contacting our nearest office. On the website LLC «Electrocentury-steel» reflects the most current information on the acquisition of the grid «Netting» wholesale and retail, copper bars today. Our best managers are ready to provide qualified advice on any current issues. Sell any products at a competitive price. All products are manufactured on the most modern equipment and meets the quality requirements of Russian state standard and international quality standards. Products undergo ultrasonic inspection for defects. Regular customers receive a discount system of discounts.